If you are considering going with your own koi pond, you’ll definitely want to stock it with beautiful koi fish. Going with pure bred koi is definitely going to end up costing you quite a bit. However, you can find other types of koi fish that may not be quite as expensive as the pure bred options. Originally, koi were available in white, yellow, and red. From breeding these original koi together, all the other koi types and colors were born. The beginnings of koi can actually be traced back for many years. These fish were first bred in Japan’s Nigata region. 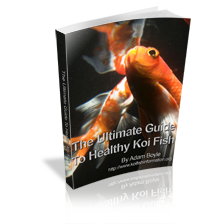 Over the years they have been bred selectively to achieve the koi types that we know have available today. If you’re not sure what types of koi fish are out there, here is a closer look at some of the beautiful fish you can find. The showa koi come with several different types of markings. They can be Red with white markings that are on a background of black. Hi Showa are mostly red while the Kindai Showa are mainly white with a bit of a pattern on them. The ones with a black body, white markings, and a spot of red on the head are known as Tancho Showa. These happen to be one of the most common koi varieties available today. Usually the body is very deep red and the edges are quite defined. They have white on them that is very bright and pure. The Nidan Kohaku includes two red markings on them. The Sandan Kohaku fish actually have three different red markings on them. Tancho Kohaku is another type of Kohaku that is mostly white with a bit of red on the head. Last, with four red markings on the body, you have the Yondan Kohaku. These koi are either yellow, red, or white and they have some black markings on them. The Shiro Bekko are white and they have markings that are black. Then you have the yellow ones that have the black markings, known as Ki Bekko. Aka Bekko are the red ones that also have some black markings on their body. You’ll find that Taisho Sanke is another of the koi types that you may want to consider. These fish usually have a white background and they may have black and red on that background. You have the Tancho Sanke, which has a head with a white body, normal markings on its body and a red spot that is separated on its head. You’ll find that these beautiful koi varieties happen to be a beautiful gray blue color. On the dorsal and lateral lines, they have scales that are a lovely dark blue. The sides of the fins happen to have some red, for a beautiful contrast. Usually these fish are mostly black and they may have markings that are yellow, red, or black. One of the koi varieties is Ki Utsuri, which is black with markings of hellow. You have the Hi Utsuri that has red markings on black. Then, you have the Shiro Utsuri, which is black with lovely white markings on the body. These are the koi fish types that actually have a single colored metallic look. The Nezu )gon are a gray and silver metallic color. You have the Platinum Ogon as well, which is a lovely metallic white. Some of the other types of Hikarimono include Ki Matsuba, Kin Matsubsa, Aka Matsuba, and Orenji Ogon. All of these fish are especially stunning. These are only some of the lovely koi types that you can purchase for use within your koi pond. 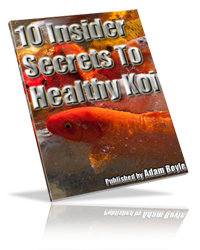 It can be exciting to investigate some of the lovely types of koi fish that are available. As you learn more about the options, you will be able to choose some exquisite fish that are sure to make your own koi pond look amazing.